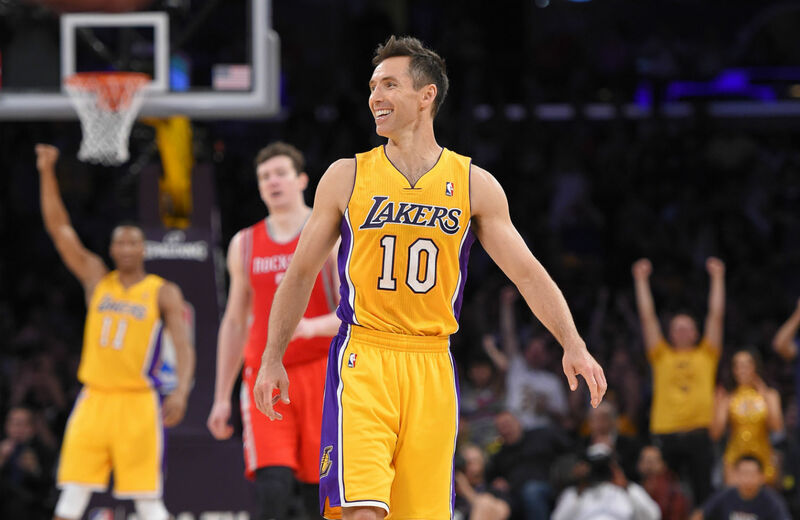 The announcement that future Hall of Fame point guard Steve Nash&squo;s career is coming to a close should be an opportunity to appreciate what he brought not only on the court, but off. Anyone who loves the game of basketball when played to its free-flowing, near-narcotic full-potential is in mourning over the announcement that the career of Steve Nash has in all likelihood come to a close. People will miss Nash above all else, because the future Hall of Famer had the capacity to both control the pace of a game and inspire onlookers like few players of his generation. I spoke to Jack McCallum, the legendary hoops writer at Sports Illustrated and author of the sumptuous book about Nash’s run-and-gun Phoenix team, Seven Seconds or Less. “During the season I spent with the Suns it was Nash’s utter professionalism that struck me hardest,” he said. The unchangeable pregame shooting drill. The postgame ice baths and the esoteric stretches he did to keep his body tuned. His subtle, though constant, reminders to his teammates about diet and getting enough sleep.… but damn, the man could play, let’s not forget that. He was not a one- or two-year wonder; he’s third in career assists. And he and the Suns kind of bridged a gap in the NBA. Michael had hung it up. The Lakers had finished their threepeat. The Spurs never could catch the imagination of the collective fan base. LeBron wasn’t quite ready to be LEBRON. And along came Nash and the Suns. Damn, they were fun. The appreciations of Nash and his arsenal of ambidextrous passing will continue to fly fast and furious, but we should also take a moment to appreciate Nash for reasons apart from his ability to do this. We should also thank him for daring to be a voice of resistance when it mattered most. As the war on Iraq was being planned early in 2003, there was silence throughout the sports world. This was not surprising. It had been years since athletes had put themselves out there to use their hyper-exalted brought-to-you-by-Nike platforms to make political statements. Today, as jocks—from Richard Sherman to Serena Williams to Robbie Rodgers to Jason Collins to the Miami Heat—have used social media to speak difficult truths in unwelcome spaces, it is difficult to remember just how deafening the political quietude was back in 2003. While several million people converged on New York City to say no to what we then called “Bush’s war,” the sports world institutionally, from team owners to media puff pieces, was a center of unquestioned patriotism. For people who only read the sports page, and stay off the front page, being confronted with dissenting views was a non-option. I appreciate Steve Nash for the same reasons as Jack McCallum: because the man was a bridge. Not just a bridge, though, from Jordan to Lebron. He was a bridge from an airless atmosphere of corporate conformity and fearful furtiveness among athletes to a time today when there is more a sense that you don’t swear off your right to have an opinion just because you sign a contract. Steve Nash will be missed on the court. Here’s hoping that when it comes to speaking his mind, he never retires.